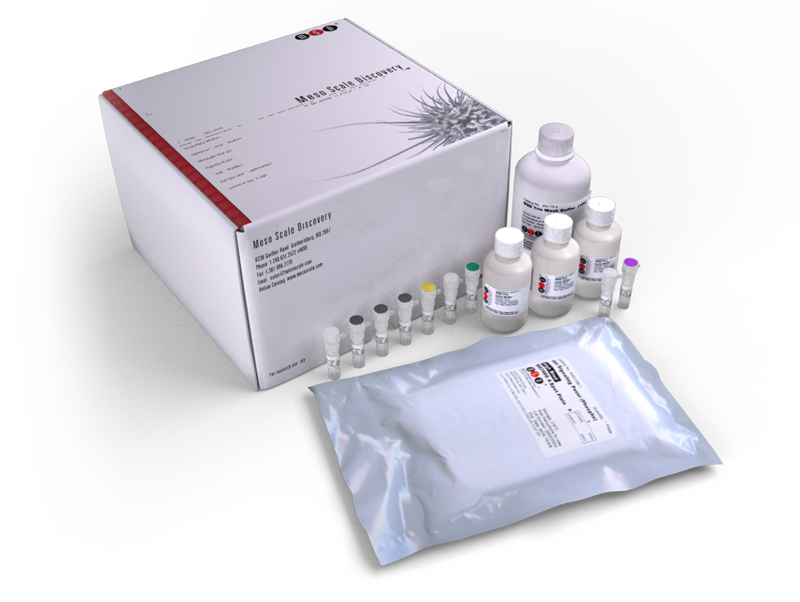 The U-PLEX Cytokine Combo 1 (NHP) includes a combination of assays for non-human primate cytokines and chemokines that are involved in many biological process such as inflammation, the Th1/Th2 pathway, chemotaxis, the Th17 pathway, and immune system regulation. These assays can detect secreted biomarkers in serum, plasma, and cell culture supernatants where over- or under-expression may indicate a shift in biological equilibrium. he U-PLEX platform combines high sensitivity, wide linear dynamic range, a read-time of less than two minutes, and the flexibility to create your own personalized multiplex assays. The U-PLEX Cytokine Combo 1 (NHP) provides assay-specific components for the quantitative determination of GM-CSF, IL-1α, IL-5, IL-7, IL-12/IL-23p40, IL-15, IL-16, IL-17A, VEGF-A, and TNF-β. Note: Measurement of IL-12/IL-23p40 may be impacted by IL-12p70. We will separate the IL-12/IL-23p40 assay from assays that share the IL-12p70 calibrator (Calibrator 1) by providing it on a separate plate.